Thanks to the BBC and the British Library, we are able to bring you evidence that Elvis didn't die but in fact was involved in a time travel experiment. 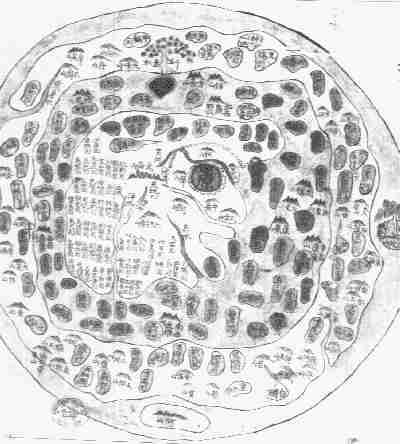 The evidence is in the form of a sino-Korean world map from 1800 which is based on a map from 1500AD. This map shows the Middle Kingdom of China within the Great Wall at the centre of the world. The rest of the world is around the edges. Elvis in China in 1500. Despite the title of this page, our researches are not sure if this actually is Elvis. Internal disputes have not been resolved and some suggest that it might be Alvin Stardust.